« Excessive Exercise Can Be UnHealthy for Our Kids! Almost 5 years and 453 posts ago, I started The Brodsky Blog. I was told I had to build an audience for “my book.” Since then I have written enough to fill a book, but it isn’t the book I started to write about–my experience suing two powerful organizations for gender discrimination and the fall out from those 10 years–events still impacting me in ways both awful and wonderful. Along the way I took some interesting detours. One of the most fun was Get Your Woman On! 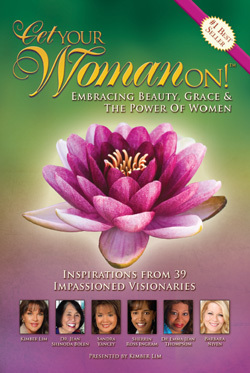 Grace, Beauty and the Power of Women which became an Amazon Best Seller two years ago. Thirty-nice women shared in written, audio and video (yes! a multimedia book that is also in print if you prefer) their experiences crawling out of dark holes and changing the lives of others in a positive fashion. I am still inspired by my co-authors, whom I met in person at an e-Women Network conference in Dallas in 2011. Definitely worth the read. This year I found common ground, and contributor space in a book series that I wish I had conceived and written. But Rallie McAllister, MD, MPH, and Jennifer Bright Reich beat me to it! This series, called the Mommy MD Guides, is self-published through Momosa Publishing, LLC, and starts at the very beginning. 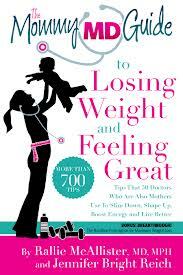 “The Mommy MD Guide to Pregnancy and Birth” has 900 tips from 60 women doctors. Lots to choose from. Definitely not a manifesto on how to, why and when. Filled with different points of view, I wish I only knew 32 years ago! Next is, The Mommy MD Guide to Your Baby’s First Year. Challenges, celebrations and savvy tips on how to get through post-partum depression to getting your body back (if it is one you wanted, that is). Coming soon is the The Mommy MD Guide to the Toddler Years, and in production is the one I contributed to: The Mommy MD Guide to Losing Weight and Feeling Great. A life long battle for weight control coupled with my love of exercise (even if it kills me!) made me want to participate. Not only do these savvy entrepreneurs write great books, they also have fun products on their website and something for everyone. So even though I haven’t yet written my first non-medical book (I have two medical books published, one that might interest you on pediatric feeding and swallowing and is still in print since I received my royalty check this week, hooray! ), I have gotten my feet wet and my creative juices flowing. I can do this. So time for some serious attempts at getting that book together–now if only I could figure out which one! Stay tuned for my progress. The 90,000 word manuscript that comes with my first Women MD Resources Product, The Woman Physician’s Playbook, an 8 hour on-line video course for women physicians to Gain Confidence and Control for Personal and Professional Success, is completed and will be on-line this spring. And, well, then anything is possible. Isn’t it? This entry was posted in Telling Stories, Uncategorized, Women at Work, Worthy Causes and tagged authors, Mommy MD Guides, Pediatric Feeding and Swallowing, Women entrepreneurs. Bookmark the permalink. Post a comment or leave a trackback: Trackback URL.